Blister beetles are commonly found in the yard and garden. They’re a unique insect because they cause all kinds of reactions on people and pets. They readily feed on plants and insects and their body contains cantharadin, a known toxin, which is the real threat. When handled, these beetles will release cantharadin which can cause nasty blisters to develop on the skin or scalp. The exact reaction can range in look from poison sumac to a real “blister burn” one would get from something hot. 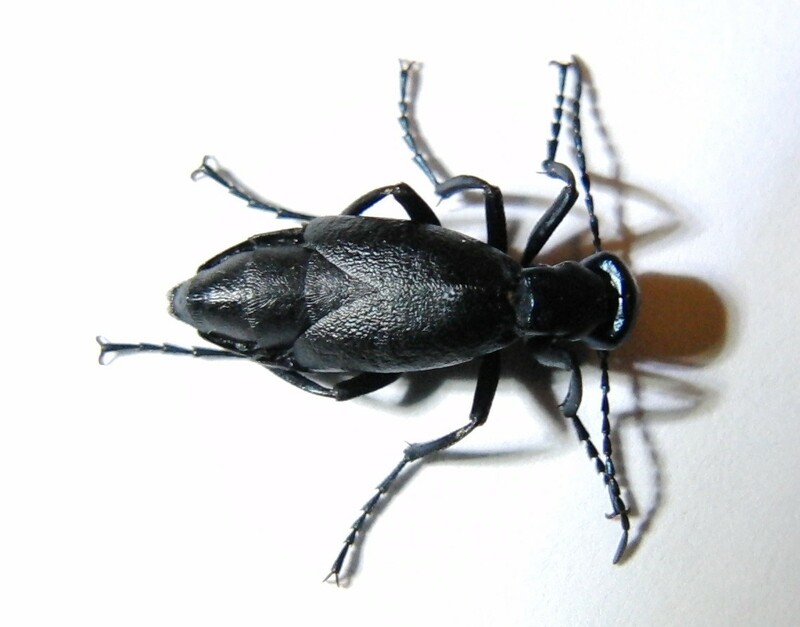 Blister beetles readily infest vegetables and fruits and for this reason, organic gardeners commonly come in direct contact with them when unknowingly removing them by hand. Be careful not to handle or touch them; reactions vary from person to person. Out in the yard, a good all around option for blister beetle control is to spray the grass, plants, shrubs and mulch areas using CYONARA RTS. Labeled for used on plants and gardens, Cyonara uses an active which is strong enough to control blister beetles but safe enough to be used on food crops. It’s not organic so it’s definitely a “stronger” option and even has vegetable garden labeling. The big difference with Cyonara compared to the organic options is that the days to harvest are much longer. Allow for at least 7 and maybe even 14 days depending on the strength and amount being used. In general, one Cyonara quart will cover up to 1/2 acre. Expect to treat once a month when beetles are active; once every 3 months when you want to prevent them from returning. 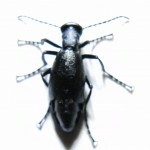 Horses, cattle and other farm animals seem to be extra vulnerable to blister beetle toxin. Horse feed laced with even trace amounts of cantharadin can cause illness and even death. Be sure the infestation doesn’t spread to feed bins or grazing locations. Blister beetles will many times leave their excretion trails unknowingly over foodstuff so contamination can be discreet and subtle so the rule is to be wary where they have been seen and known to be active. For barns, hay and other sensitive areas where horses, cattle and other farm animals are active, Cyonara can be used. But if you want something that can be used directly on the animals, ESSENTRIA IC would be a better choice. Made using food grade actives, Essentria is safe enough to be used directly on animals for common pests like biting flies, ticks, mosquitoes and more. Use 3-6 oz per gallon of water and use the mixed solution over 500-1000 sq/ft. You can use a sponge to apply the solution to your animals or a good PUMP SPRAYER. For large areas, use a HOSE END SPRAYER. Remember, active blister beetles will routinely infest feed, hay and vegetable gardens. For this reason you may need to spray your crops or inventory to avoid loss. 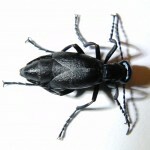 Animals ingesting blister beetles will generally have an adverse reaction so this potential hazard must be controlled. Cyonara can be used for these sensitive areas but you could opt to use an organic active if preferred. We’ve found MULTI PURPOSE INSECT KILLER to be strong enough to handle any garden pest including this beetle. It has the least amount of days to harvest (just one day) and can be used as often as needed. Mix 6.4 oz per gallon of water and apply it using a pump sprayer or hose end sprayer like the ones listed above. 1 mixed gallon will cover up to 1000 sq/ft of area and can be applied as needed. We have got beetle blisters in our yard, we are talking about most of the yard. What can I use to get rid of them? I have grandchildren that play in the front yard where they are at. I need to know what to do. I live in Bonham Texas, any help would be appreciated. Thank you. For most local infestations, the Cyonara listed above will take care of them. Just hook it to your garden hose and spray as much of the yard as you want. It’s safe for use on the plants, turf, etc. and won’t pose a hazard to people or pets once applied and dries. 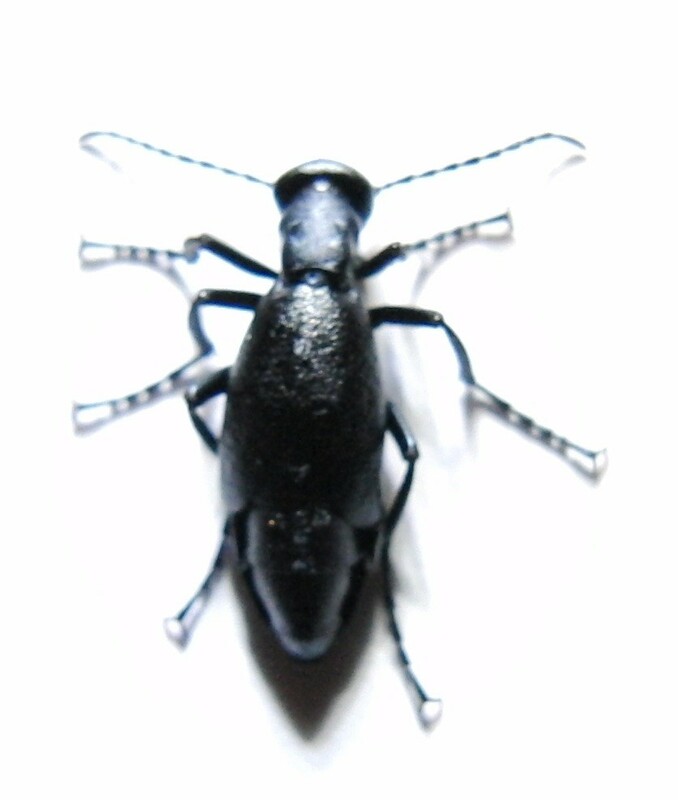 I’ve got blister beetles in my house! I have dogs and children. What can I use to rid them from my house? The Essentria above can be mixed with water and sprayed in the home. Use 6 oz per gallon of water and expect to get 800-1000 sq/ft of coverage per mixed gallon of spray. You can also use our Phantom aerosol which is low to no odor and well suited for cracks and crevices where this beetle likes to hang out and hide. 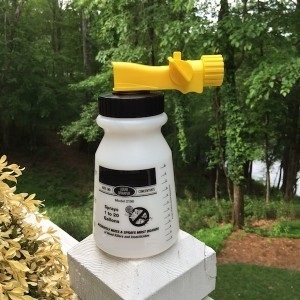 Spray the exterior of the home with the Cypermethrin listed above and then for inside the home, apply Phantom aerosol where you see activity. This would normally be crack and crevices around windows, door frames, baseboards, and other areas where you see activity.